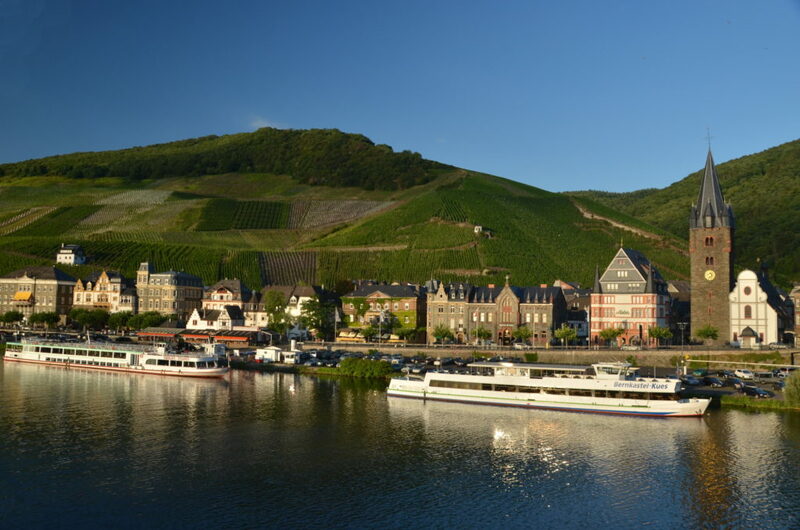 Bernkastel-Kues is an charming old town in the region of Moselle, a very West part of Germany. 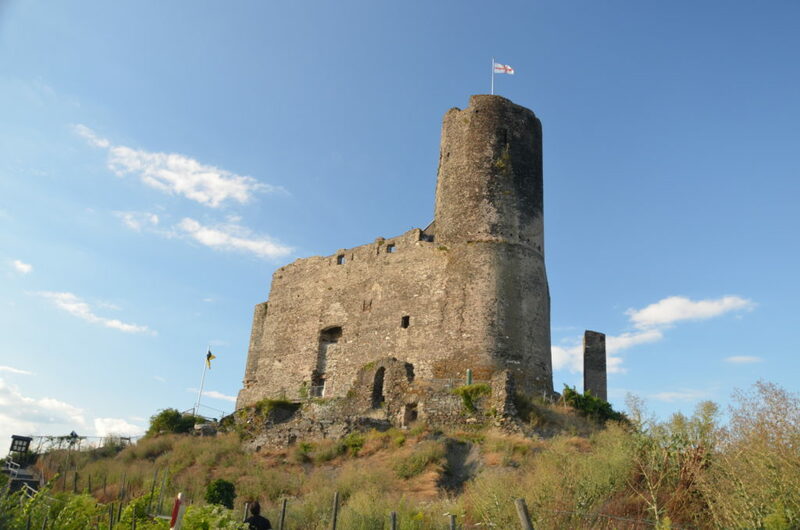 It is a town rich in history and culture and offers many opportunities how to spend a day or weekend. 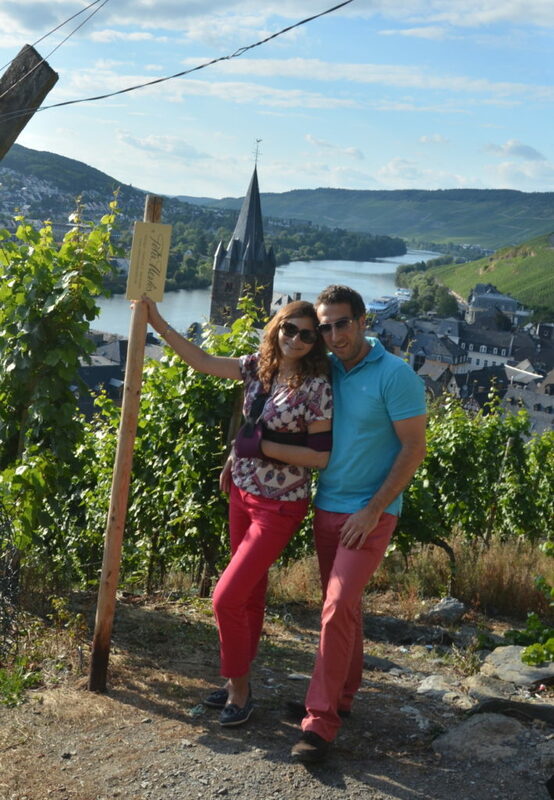 A day trip to Bernkastel-Kues that lies only 2,5 hours’ drive from Brussels. 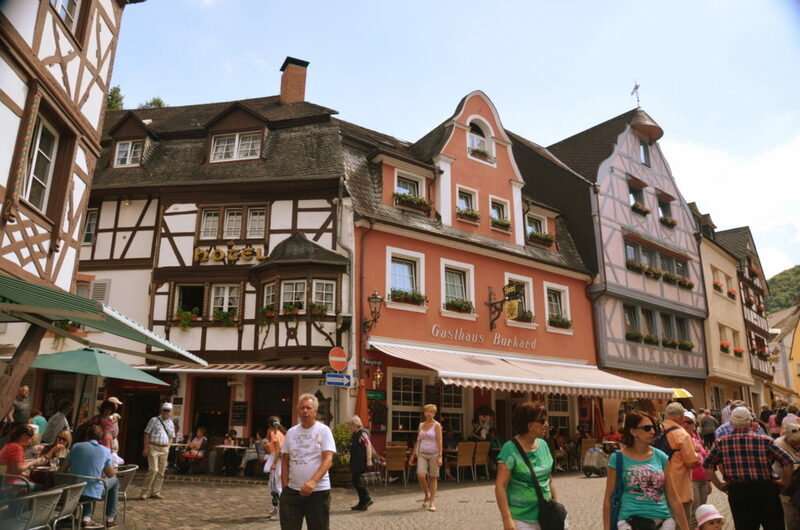 Here is some inspiration on how to spend a day in this charming German town. 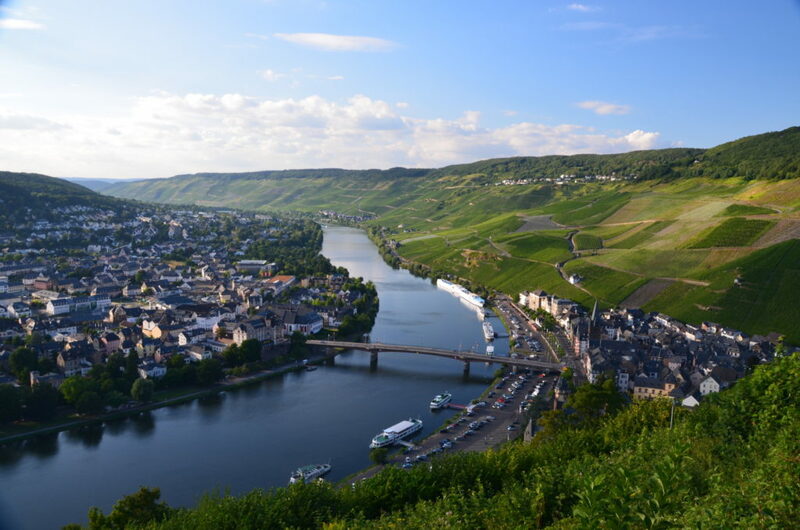 The town has two parts – Bernkastel and Kues – that are separated by the Moselle river. 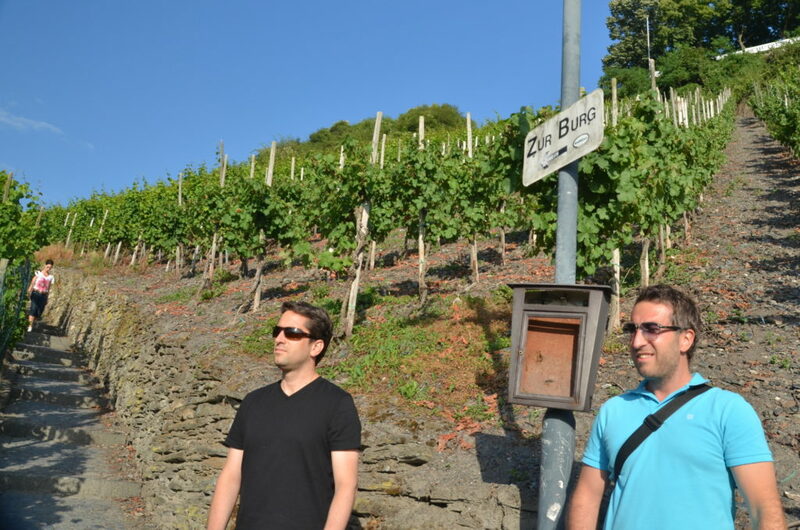 Kues is the oldest and largest part and it is here where Nicolas of Cusa, German philosopher and theologian, was born. 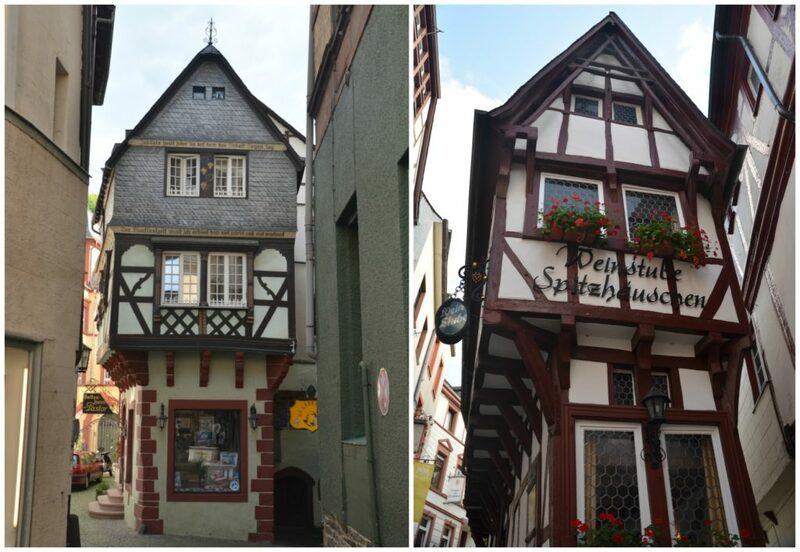 If you have time during your day trip to Bernkastel-Kues, you can visit his house that used to serve as a hospital for poor (Cusanusstift). 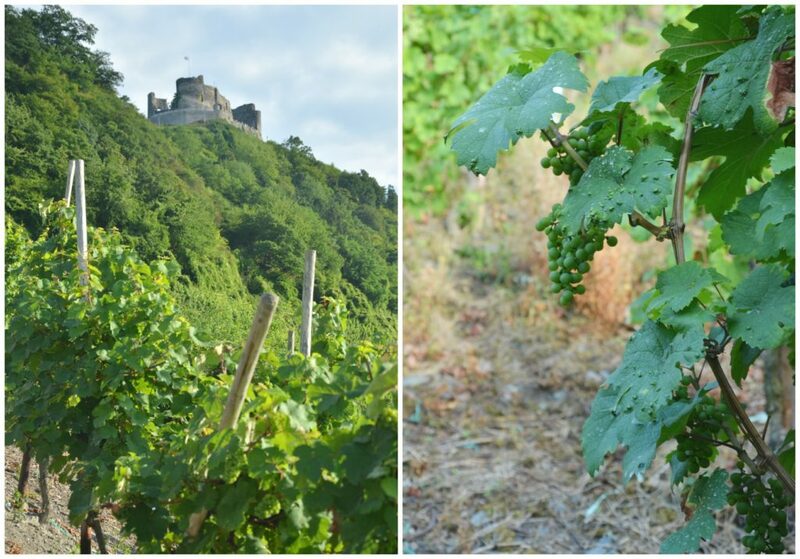 Not far away from his house you can visit Mosel-Vinothek & Wine Museum here to learn more about German wines and taste some of those 150 varieties available here. 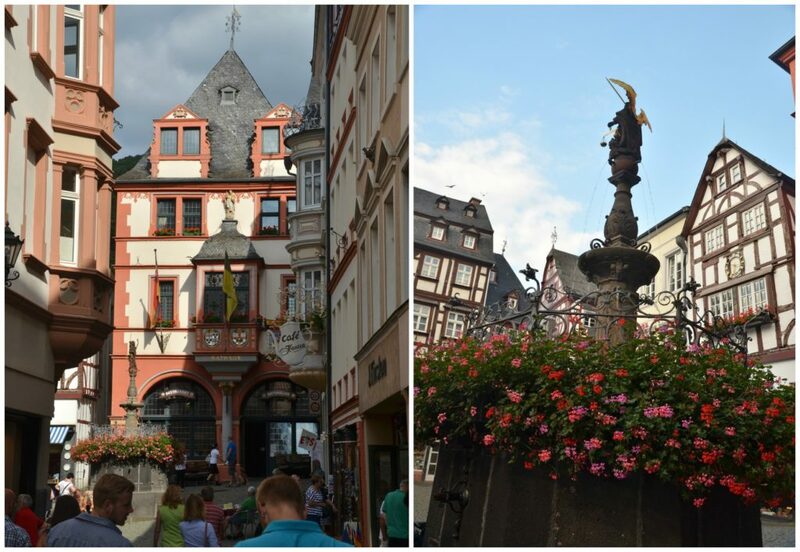 Bernkastel is a medieval center of the town, where you can enjoy a romantic walk. You can get there by crossing over the bridge, from which you can already see the Church of St. Michael with a 600 years’ old fortified tower. From the bridge, you will arrive to the market square with St. Michael’s Fountain and late Renaissance style town hall date back to the 17th century. 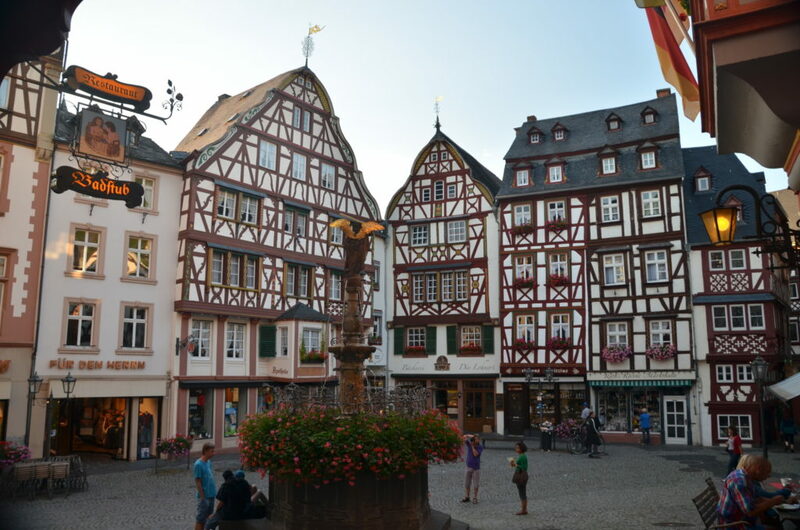 If you go up to the right from the market square, you will see the most photographed house in the town, so called ‘Pointed house’ from the beginning of the 15th century. 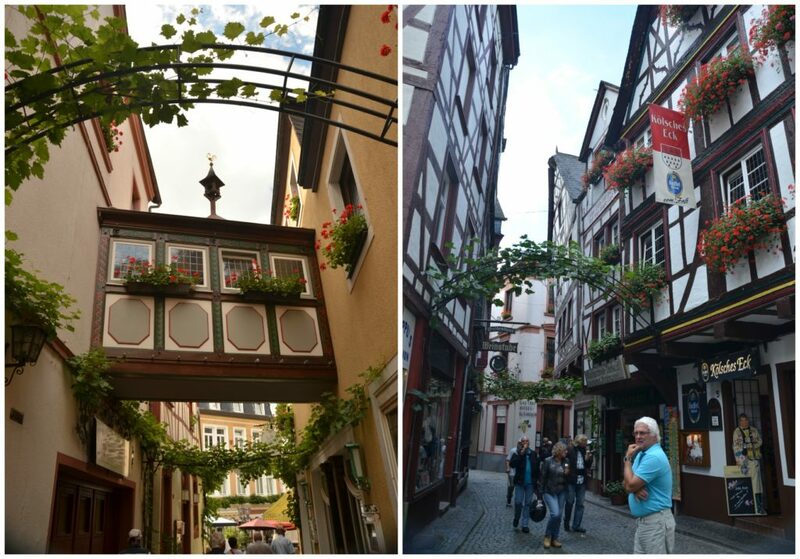 Bernkastel is full of small narrow streets and you can admire old half-timbered houses decorated with flowers, shop in charming boutiques, have some German lunch (schnitzel mit kartoffeln anyone 🙂 ? 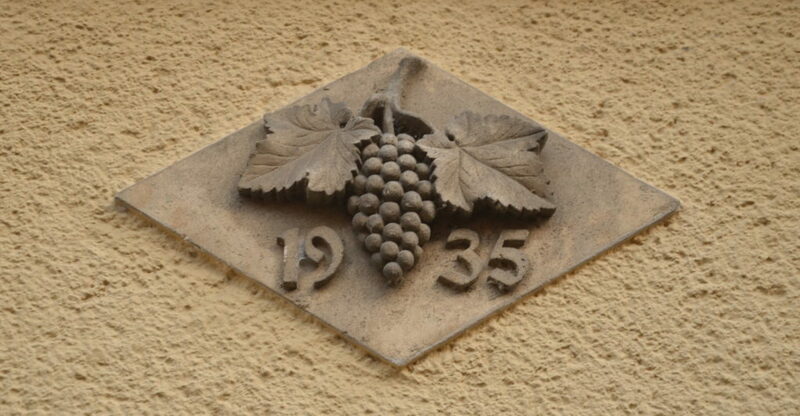 ), or enjoy German beer or the local Riesling on a terrace of old taverns. 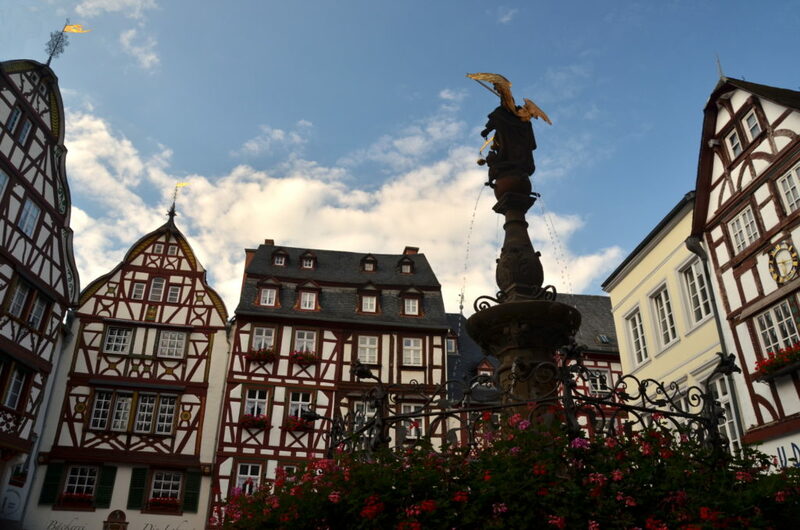 A proper day trip to Bernkastel-Kues cannot be finished without a coffee later in the afternoon as in Germany they have amazing cakes (we did so in Café Hansen on the market square). After the lunch and coffee time, you should definitely climb up the highest point of Bernkastel-Kues, Olymp (415 m above the sea level). Not sure whether this short walk will burn all the calories consumed before though 😛 . 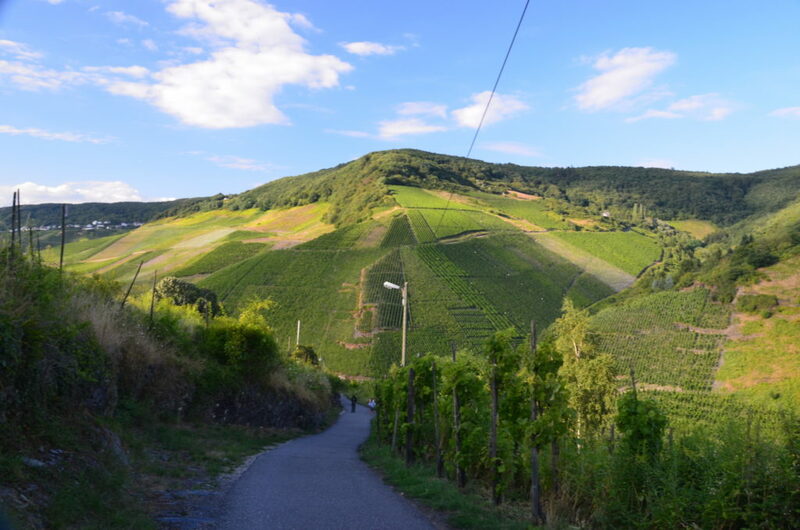 The path leads through vineyards and beautiful landscape, and is totally worth it – at the top of Olymp there are ruins of a Landshut castle and a view of the whole town. And we finally arrived to the ruins of Landshut Castle from 9th century that used to serve as a summer residence of archbishops of Trier, but in 1692 it was destroyed by a fire. 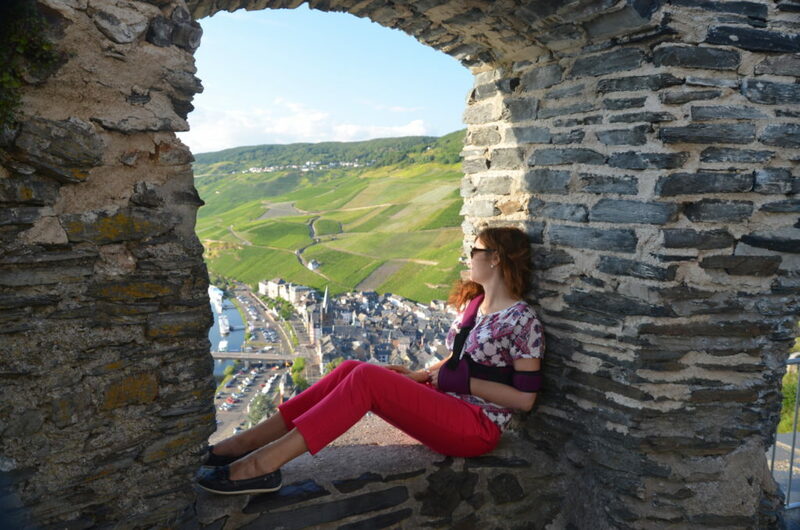 Few steps behind the ruins, you will have a magnificent view on the whole town and the Moselle valley from the Olymp. On the beloy picture, Kues is on the left and Bernkastel on the right. 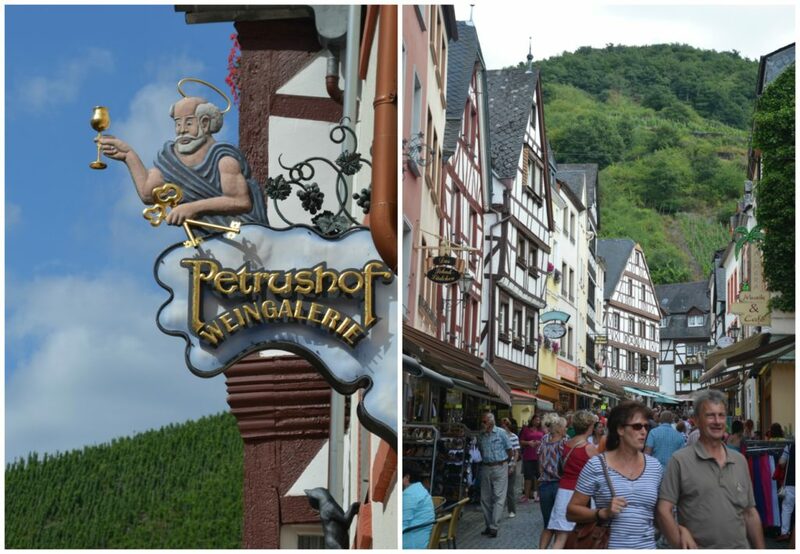 You can spend an amazing weekend or holidays in Bernkastel thanks to the activities that this place offers. From sport activities (cycling paths alongside the river, Nordic walking, minigolf and others), or wellness activities (relaxing and spa centers) to wine stay. More information about the activities can be found here. 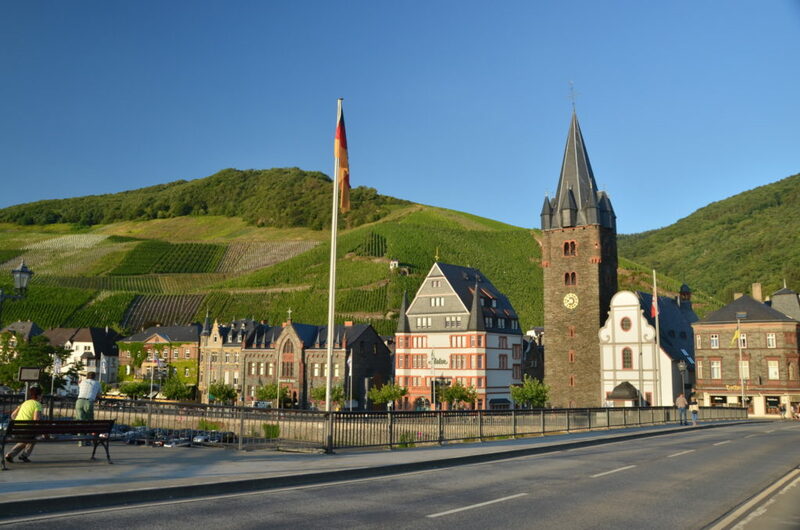 Are you asking when is the right time to visit Bernkastel-Kues? That depends on the activities you plan to do. 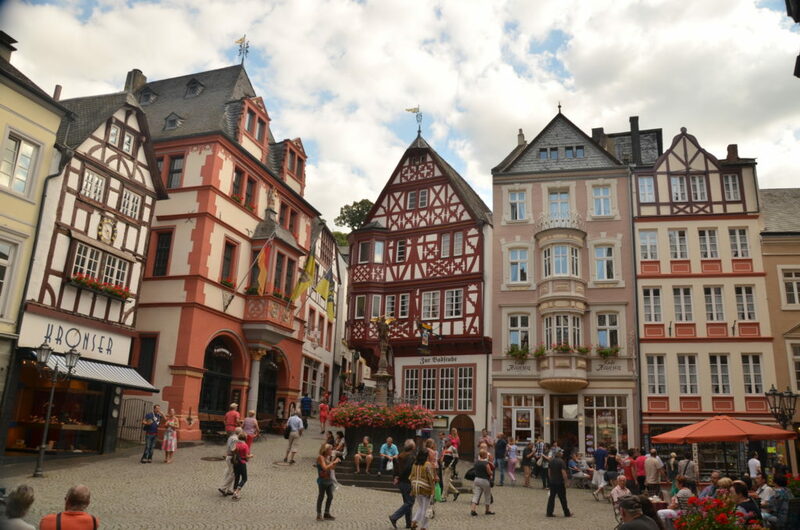 But if you like wine, do not miss the wine festival Middle Moselle, and if you like German Christmas markets, you should plan your trip to November or December in order to get there for the Christmas Market in Bernkastel-Kues. 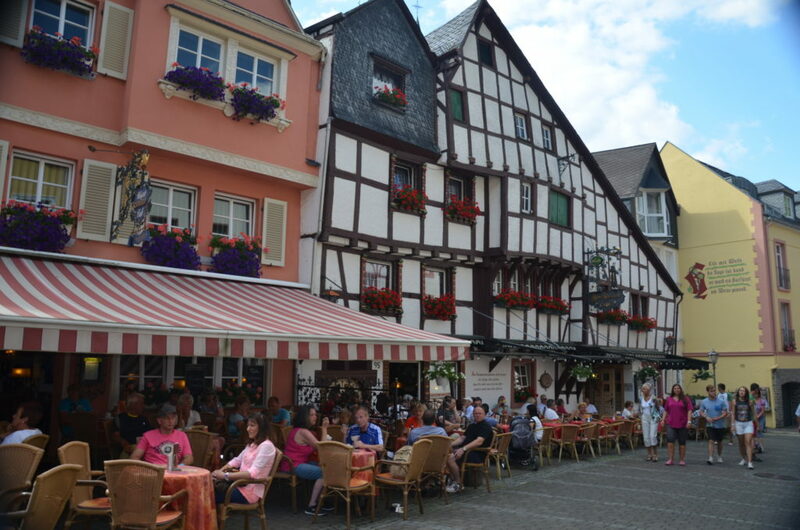 Do you have any tips for nice towns in Germany?